Halloween can be a lot more than just costumes and candy treats, when it is celebrated with the healthy habit of reading. Kids love a good ghost story, and for younger children there are wonderfully humorous Halloween tales. But there are also gripping stories for teens and even adults who want to enjoy a frightfully good read. Here are 7 suggestions of great e-books for October and especially the spooky night of Halloween. So check out these titles and others to scare up some fun reading on the Halloween holiday. 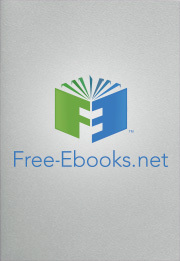 Some of them are even available right here at Free-Ebooks.net, where you can download them for free. Washington Irvin’s classic Halloween story was first published 200 years ago. But it remains arguably the most popular Halloween story ever written. The story revolves around school teacher Ichabod Crane, who believes in ghost stories and folklore about the power of witchcraft. He is especially intrigued by the story of a headless horseman who haunts the woods near his home in Sleepy Hollow. Curiosity may have gotten the best of Crane, though, because one night he personally encounters the headless ghost. For something less frightful for younger readers, this is a good choice. In fact, this iBook won a Parents’ Choice Gold Award, and is free to download from iTunes. Kids get to follow along with the main character, Harry, as he tries his best to figure out what is the matter with he favorite monster. The story combines some great silly fun with some good lessons for kids. If you love Harry Potter books, then the Little Witch will probably be a big hit for you. Not only does it have the witchy element for Halloween, but it’s also filled with mythology and supernatural creatures, too. But it’s not one of the new and modern stories following in the footsteps of Harry Potter. This book was written 60 years ago, by Anna Elizabeth Bennett, who was a children’s book librarian. The key to its enduring popularity is that kids love it. This is a story of a little witch by the name of Minx who just wanted to become a normal little girl. To do that she enrolls in school and that is where the crazy adventures begin. Do you have any vegetarians trick-or-treating at your home? If so, they might like to pause and read about Count Dagmar the vampire. Count Dagmar, unlike Count Dracula, is not a blood-sucking type of vampire. Instead, this Count happens to be a vegetarian. But in order for Count Dagmar to prepare for his big Halloween party, readers will want to help him. Kids do that by counting all the furry bats, friendly ghosts, and ridiculous monsters who inhabit this interactive e-book available from iTunes. For children from age two to eight, it is difficult to find a more beautiful and fun bedtime story than the classic Goodnight Moon. But for Halloween the book Goodnight Pumpkin is a fantastic alternative take on the story, perfectly suited to the occasion. This funny rhyming picture book for little ones puts a Halloween twist on the Goodnight Moon story and is a great choice to reach for every year at Halloween. Speaking of pumpkins and Halloween, here’s a little book that tells the story of how carving faces into pumpkins on Halloween got its start. Way back when, in 19th century Dublin, Ireland, there was a mean fellow by the name of Nasty Jack. He was a prankster, a bully, and a miscreant who caused trouble everywhere. Soon Jack was known throughout Ireland as the meanest person alive. But he helped inspire Jack-O-Lanterns that nice people still enjoy today. In this scary tale, a famous psychologist investigates the truth behind a haunted house that serves as a popular Halloween attraction. To dig up the facts, he arranges to sleep in the haunted Reindeer Manor house for nearly a week. Readers get to join him for this ghost-filled sleepover and find out what is really happening inside the Reindeer Manor.